Comments Featured today is a splendid, spectacular gem – the kind that stirs up a deep desire in you to get one for yourself! Take a look at this stunning fully natural, unheated Ceylon Blue Sapphire of 2.15 carats set in Sterling Silver as a Saturn Talisman ring. 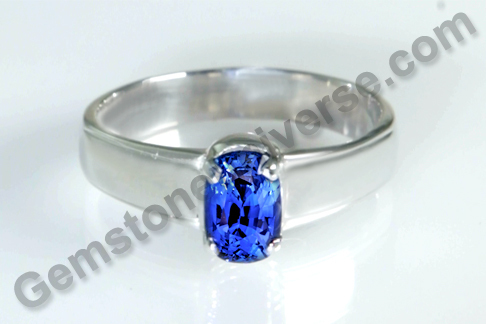 The gemstone is a splendorous deep royal blue in color and has excellent electric lustre. En eye clean gem such as this is an absolute treasure. 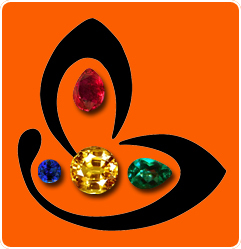 Ceylon Blue sapphires are famed across the world for being the best in natural gemstones. They are characterized by exceptional clarity and lustre, making them greatly sought after. In Vedic Astrology, Natural Blue Sapphire or the neelam stone is the gem of Lord Saturn/ Shanidev. Set in a talisman this gem can be used to harness the energies of the Karmic planet Saturn. To view the Natural Blue Sapphire Price and inventory, click here.